Jose is a filmmaker and movie enthusiast and he’s also a curator for 10 Block. Here’s what he’s reviewed, and a peek at what he’s watching now. Get the app to see what’s on Jose’s watch list, and what recommends. The app is in the app stores, this is a soft-launch as we build the library and community in the app for a general launch in New York City in the months ahead. Here’s where you can download the app to your phone. Try it, let me know. 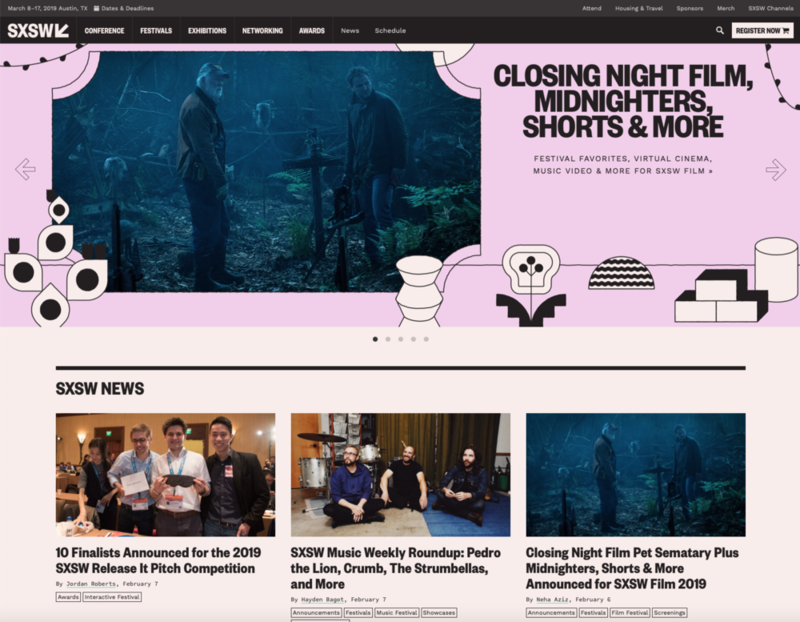 10 Block (formerly known as Second Screen) is on the 2019 SXSW homepage today. We're top 10 finalists to release a new product on stage opening day at the premier interactive conference in Austin, Texas. Congrats to our fellow finalists & good luck in March! See a full list below. Ampl is an article discovery & article sharing platform that enables users to easily create conversations within shared articles on mobile. You can highlight text & add comments within articles, so a focused conversation is waiting for whoever you share the article with. It makes article sharing fun & easy. Dorsum is a company solving the problem of back pain caused by spinal misalignment during repetitive motion activities. Our supportive spinal device inserts into apparel as part of an interchangeable back support system. Dorsum is committed to creating purposeful and dependable products that adapt to motion and the user’s needs. The Leaf Tyme mobile app is a directory for the cannabis industry that connects consumers and patients to licensed dispensaries, brands, and clinics in their area. The platform allows users to find cannabis laws and regulations by state and learn how cannabis can help with common health conditions. Lumos is a next generation bicycle helmet that features integrated lights, brake, and turn signals. Lumos started as a Kickstarter campaign, and has gone on to be featured as one of Oprah’s Favorite Things and TIME Magazine’s Best Inventions of 2018. Lumos is also the first and only bike helmet to be sold in over 300 Apple Stores worldwide. AI-driven chatbot coach for chronic disease patients. Nori helps them through regular conversations to discover and change lifestyle factors that make symptoms worse. To find an optimal quality of life with positive relationships. Reviver Auto created the Rplate, the world’s first and only digital license plate, transforming the 125 year-old metal license plate into a multi-functional, bi-stable high definition digital display, and customizable, connected vehicle platform. It enables virtually any legacy vehicle to transform itself into a connected smart vehicle taking advantage of today’s and tomorrow’s technology including smart cities, AI, autonomous and semi-autonomous systems, various vehicle ownership business models and much more. Riteband is a stock exchange for music that empowers artists by bringing them cash when they need it; from fans and other investors who buy their future music copyright revenues. Backers can make a profit through secondary trading, just like on the stock exchange. Find the hit. Make money. 10 Block transforms high quality feature films & TV series into an experience the mobile generation loves by making great stories into bite-size blocks you can discover, binge and share on your phone. Their platform helps content owners reach today’s mobile viewers in an addictive social community. The Labz’ is a music collaboration platform that frees music creators from the complex burden of song ownership data collection, ownership splits and song registration. We do this by integrating into the music creator’s current music sharing and songwriting digital workflow, collect data while creators collaborate, take that data to instantly register their ownership on a Blockchain database platform, and auto-generate simple forms such as a copyright and a split-sheets. Thisten is an audio to text platform that transcribes the world’s information – in real time. Backed by Google Creative Lab, Thisten was founded by Liz Jackson and members of SkipTheDishes’ startup team – Rui Melo, Ben Grynol and Sudeep Sidhu. Judging winning venture ideas at UC Berkeley: how about a toothpaste that fills in your cavities? Called it! 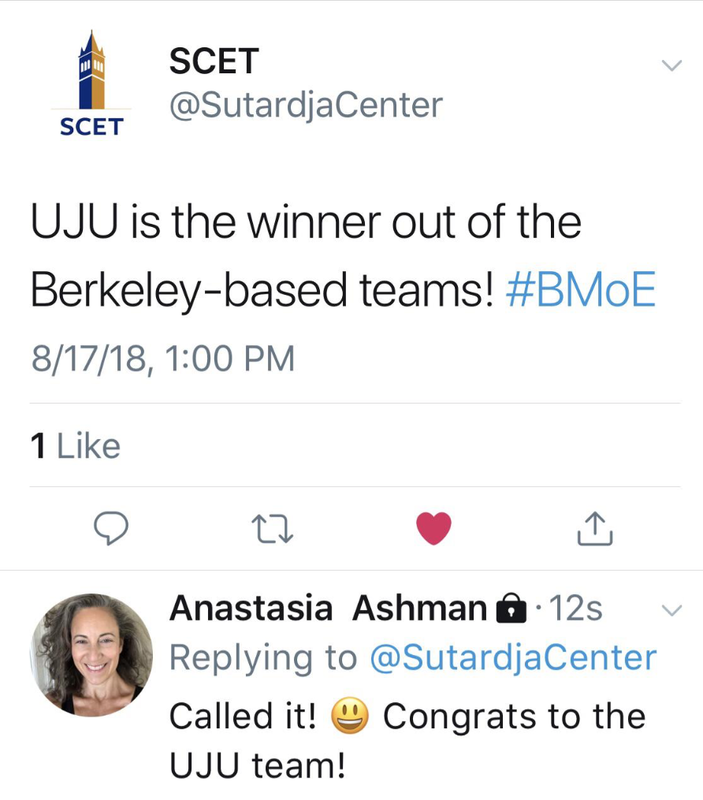 Congratulations to UJU for winning best of the Berkeley-based teams at BMOE Summer 2018. And, an algorithm called it too? 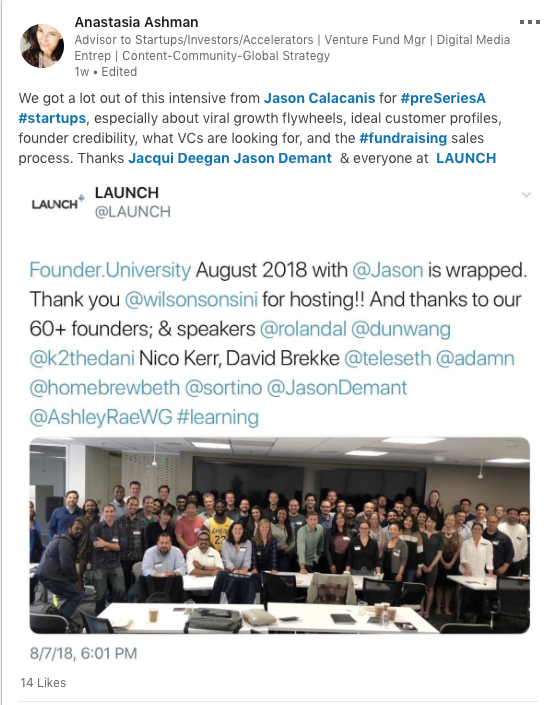 Got a lot out of this mini accelerator experience from Jason Calacanis, the founder of Silicon Alley Reporter (a fellow dotcom industry pub to the one I was once an editor at!) 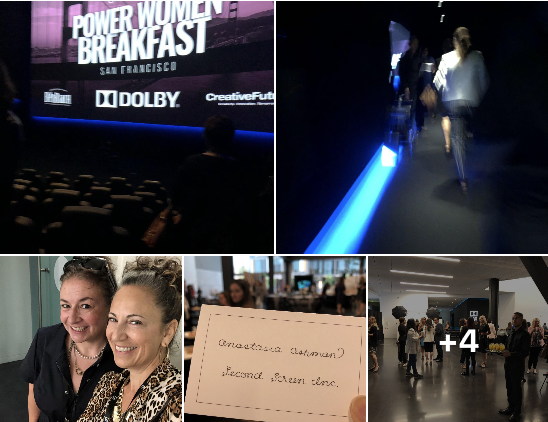 among other things, like the LAUNCH startup conference, festival, podcast This Week In Startups and LAUNCH Incubator. I was among the 60 founders chosen from 300 applicants, and I was representing Second Screen, Inc. where I've been COO since January (icymi!). 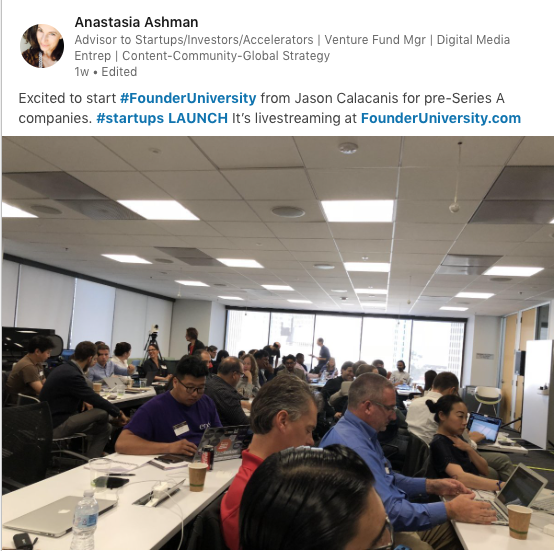 Founder University is a three-day curriculum for founders who have launched their product but haven't raised Series A. In January I took a cofounder & COO role in Second Screen, a mobile startup in LA's Silicon Beach that aims to become the Netflix of bite-size series. 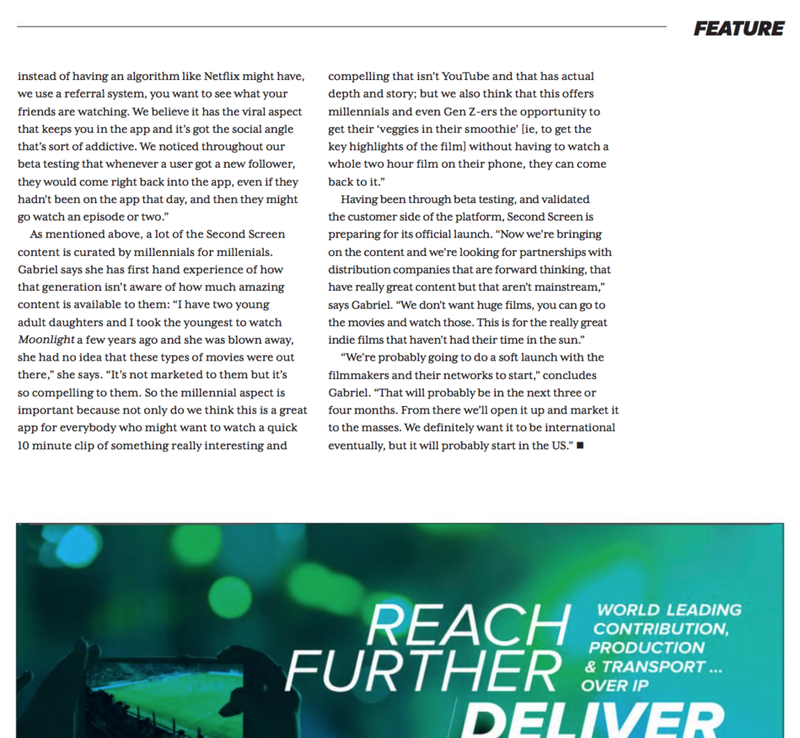 Europe's magazine for the media & entertainment industry interviewed us for their May issue when they took a look at the adoption of second screen technology and other rapidly growing areas of mobile content. Today they made the Second Screen app their cover star. Thanks to TVB editor Jenny Priestley for the interview of Second Screen's founder & CEO Estella Gabriel. "Wouldn't the clever idea be to create an app where viewers can watch content but also comment about it?" asks TVB Europe's editor in her note prefacing the magazine. 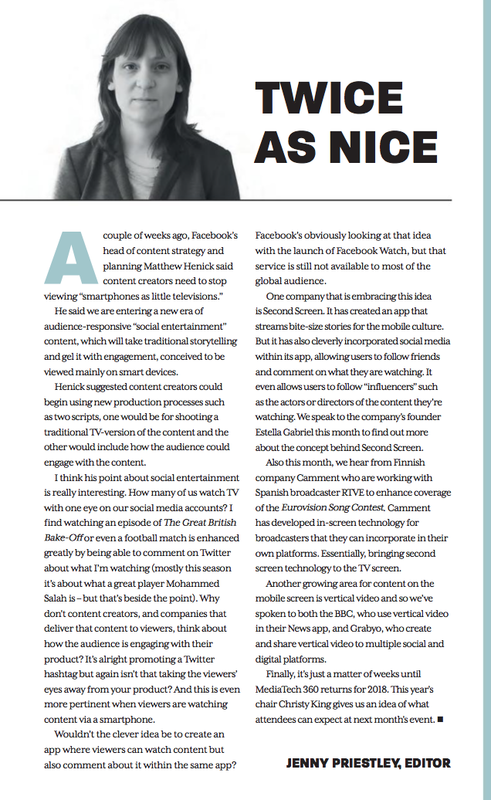 Estella talks about social discovery: "Instead of an algorithm like Netflix has, we use a referral system. You can see what your friends are watching." You can read the whole issue here. I'm a big fan of the second screen experience of major cultural events. 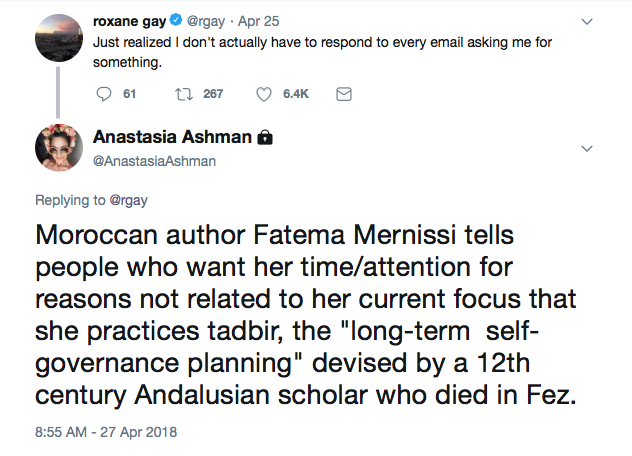 Today the "Bad Feminist" author Roxane Gay on Twitter reminded me of this note on a website contact form I saw when requesting a blurb for the Expat Harem book: ancient self governance planning from Dr. Fatema Mernissi, shown in a screenshot of her site below. This was a fun night with Fast Company journalist EB Liza Boyd at the Elks Club for Salon founder David Talbot. His book "chronicles the cultural history of San Francisco and from the late 1960s to the early 1980s when figures such as Harvey Milk, Janis Joplin, Jim Jones, and Bill Walsh helped usher it from backwater city to thriving metropolis."